LEXINGTON, Ky. (April 9, 2019) — Travel to a Far Far Away with the cast of the final main stage production of the University of Kentucky Department of Theatre and Dance 2018-19 season with “Shrek The Musical” April 11-14, at Guignol Theatre. A Tony Award-winning show, “Shrek The Musical” follows Shrek, a grumpy ogre who prefers the solitude of his swamp, as he is sent on a mission to rescue Princess Fiona by the blundering Lord Farquaad. Far from Shrek’s expectations, there’s something different about this princess, something familiar. With delightfully familiar characters from our favorite fairy tales, the adventure of an unlikely hero is a joy for the young and the young at heart. 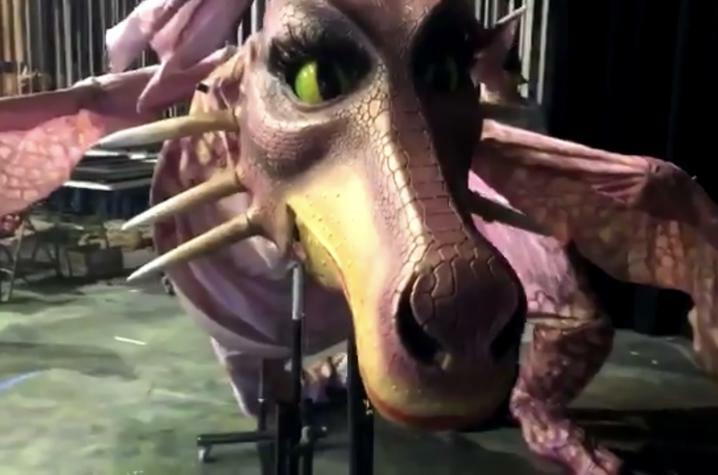 For “Shrek The Musical," Pfluger worked side-by-side with outstanding UK faculty members like music director Tedrin Blair Lindsey and choreographer Susie Thiel as well as the design staff and student assistants and artisans who brought the story to life. Evan Pride, a sophomore majoring in theatre, will play the lead role of Shrek. A Louisville native, Pride is a graduate of Trinity High School and the Governor's School for the Arts. His previous roles within the UK Department​ of Theatre and Dance include Seymour in the spring 2018 production of “Little Shop of Horrors” and Alf in the fall 2018 production of “Peter and the Starcatcher." As Shrek, Pride will be transformed into a green ogre that, according to makeup designer and UK alumnus Daniel Townsend, takes a makeup crew of two about 45 minutes to complete. To learn more about Townsend's work, read a blog post by the College of Fine Arts where Townsend goes into greater detail about the creative process and what it’s been like coming back to his alma mater. 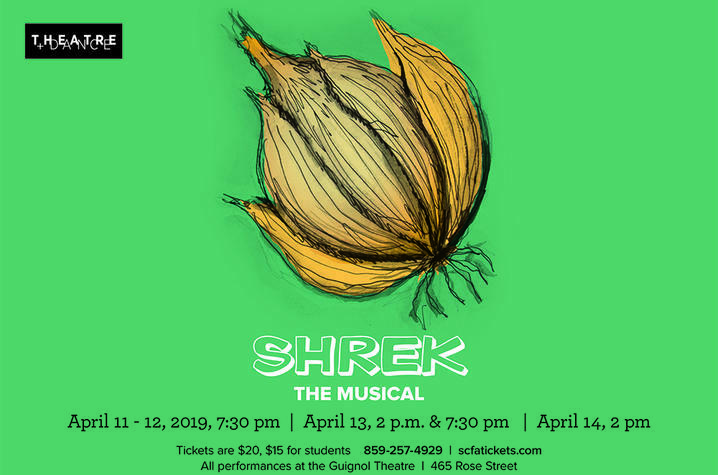 “Shrek The Musical” will storm the stage 7:30 p.m. Thursday-Saturday, April 11-13, and 2 p.m. Saturday and Sunday, April 13 and 14, in the Guignol Theatre located in the Fine Arts Building. General admission tickets are $20 and student tickets are $15 with a valid UK student ID. Processing fees will be added during transaction. Tickets can be purchased from the Singletary Center for the Arts ticket office by phone at 859-257-4929, online at www.scfatickets.com or in person at the box office. “Shrek The Musical” is presented through special arrangement with Music Theatre International.